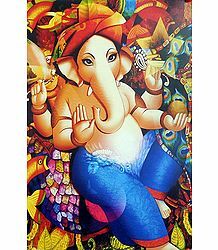 Sri Ganesha, also known as Vinayaka, is one of the most popular deities of the Hindu pantheon. 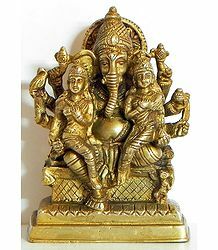 Highly revered as the Harbinger of Success and the Remover of Obstacles, this Elephant-Headed son of Shiva and Parvati is venerated not only by Hindus, but also by people from all religions and all walks of life; from all over the world. One can find innumerable Ganesha temples all over the globe. In fact, all Hindu temples; irrespective of who the main deity is; necessarily have at least one shrine dedicated to Vighnavinayaka. Devotees first visit this shrine, pray to Ganesha to absolve them of their sins and only then proceed to the main sanctum. So exalted is the position of this God in Hindu culture. 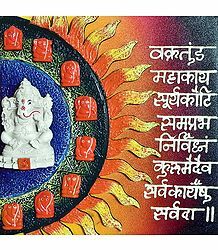 There are eight forms of Vinayaka, collectively referred to as Ashtavinayaka ('Ashta' in Sanskrit means 'eight'). The Ashtavinayaka Yatra implies a pilgrimage to the eight Vinayaka temples, which can be found in the Indian State of Maharashtra, situated in and around the city of Pune. The Yatra follows a particular route, in a pre-ascertained sequence. Each of these ancient Ashtavinayaka temples features a distinct murti (idol) of Ganesha and has a different legend behind its existence. Not only that; the appearance of each murti; even the angle of his trunk; are all distinct from one another. In this post, we bring you all the details on the Ashtavinayaka temples, the Yatra vidhi and more. Traditionally, Moreshwar is the very first temple to be visited among the eight temples and the Mahaganapati temple is the last one. Further, the pilgrimage is concluded with a second visit to the Moreshwar temple. Interestingly, all the eight murtis of the Lord are believed to be Swayambhu, or self-existent (that which came to be on their own). This means that they were not sculpted or created by human effort - they were formed by Mother Nature herself. The Moreshwar or Mayureshwar temple is the most important temple of the Ashtavinayaka yatra. Built from black stone during the Bahamani reign, it has 4 gates, which are believed to have been built by one of the knights, called Mr. Gole, from the court of Bidar's Sultan. The temple is built right in the center of the Moregaon village and is covered from all sides by a massive 50-foot wall and features four impressive minarets. Considering its construction style, it looks more like a mosque from a distance. That is what makes this edifice additionally unique. This was purposely done, so as to keep the place safe from attack during the Mughal period. The other thing that sets this temple apart from the others is that there is an effigy of Nandi (Shiva's bull) sitting right in front of the entrance. This can usually be seen only in Shiva temples and not in Ganesha temple. According to one legend, this statue was once being transported from some Shiva temple. The vehicle carrying the effigy broke down and the Nandi was temporarily placed here. However, it could not be moved later and so, they let it remain here. As the name suggests, Lord Moreshwar portrays Ganesha riding a peacock ('Mor' or 'Mayur' means peacock). Lord Mayureshwar is believed to have killed the demon Sindhu at this very spot. The idol has its trunk turned to the left, with the Nagaraja (King of Cobras) poised over it, protecting it. This form of Ganesha has his wives Riddhi and Siddhi accompanying him. Actually, Riddhi and Siddhi are the qualities of Capability and Intelligence. They are just referred to as his wives. That may not actually be the case. Some aver that this is not the original murti of Moreshwar, which is believed to have been consecrated twice by Lord Brahma himself. He is said to have done so once before and once after Vinayaka killed Sindhurasura. That original idol was supposedly much smaller in size and was made of atoms of sand, iron and diamonds. It was also believed to be enclosed in a copper sheet by the Pandavas and placed behind the one that is currently worshipped. The Mayureshwar temple is located at a distance of 55kms from Pune, next to the river Karha in the village of Moregaon. In ancient times, this village was supposed to have a number of peacocks. In fact, it is believed to have derived its name from the birds and is also set out in the shape of a peacock. The Siddhivinayak temple; the second of the Ashtavinayaka temples; is a North-facing edifice, situated upon a small hillock. The main road leading towards this place of worship was believed to be built by the Peshwa's General, Haripant Phadake. The inner sanctum, which is 15 feet high and 10 feet wide, was constructed by Punyashloka Ahilyabai Holkar. The main idol is 3 feet tall and 2.5 feet wide. The unique thing about this murti is that this is the only one among the Ashtavinayaks with the trunk turned to the right. This is considered to be extremely auspicious among devotees. 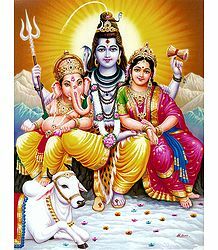 The Lord's stomach is not as wide as normally seen and Riddhi and Siddhi are seen sitting on one of his thighs. One pradakshina (circumambulation) around the temple implies taking one entire round trip of the hillock itself. This takes, on an average, about a half hour at moderate speed. Legend goes that Haripant Phadake lost his General's post and did 21 pradakshinas around the temple. On the 21stt day, the Peshwa took him back into the court with royal honor. Phadake had promised the Lord that he would bring the stones of the castle which he would win from the first war with him fighting as General. He fulfilled his promise and brought back stones from the Badami Castle, which he attacked soon after he became General. The stone pathway to the temple is built from those very stones. A powerful temple, it is said that the two saints, Shri Morya Gosavi and Shri Narayan Maharaj of Kedgaon were enlightened here. The Siddhivinayak temple is located off the Pune-Solapur highway and lays just a little under 50 kms from the town of Srigonda in Ahmednagar district. The Bhima river flows next to it. This temple is about 18 kms from the Daund Railway station. The legend of this temple is quite interesting. Lord Ganesha is believed to have saved his devotee, a little boy named Ballal. Ballal was beaten up by both his father, Kalyansheth and the local villagers for his great devotion to Ganpati. The Ganesha Purana covers the story in detail in its Upasana Khand, Section 22. This incident is believed to have taken place in Pali, the old name of Pallipur. Kalyansheth, a merchant in Pallipur, was married to Indumati. For a long time, the couple was childless. After many years of marriage, they were blessed with a son, who they named as Ballal. Ballal was always very devoted to Ganesha and, as he grew, he spent most of his time worshipping and praying to his Ishtadevata (favorite Lord). He often used to visit the woods with his friends. There, he would worship a stone idol of Ganesha. After completing their worship, he and his friends would return home late in the evenings. Irked by this, Ballal's friends' parents complained to his father, saying that the boy was primarily responsible for this. Boiling with anger, Kalyansheth went to the forest where the stone idol was kept. He ravaged the place, destroyed the pooja arrangements organized by the boys and threw away the idol of Ganesha. The children got frightened by this violence. However, Ballal remained unaffected and was deep in prayer. He did not even know what was happening around him. Still fuming, Kalyansheth beat up Ballal badly and then tied him up to a tree. He left soon after, leaving the boy there. Semiconscious and in pain, the boy started calling out to his Lord for help. Ganesha heard his little devotee's cries and quickly appeared before him. Freeing the boy, he first fed him and then blessed him that he would become a famous devotee and would have a long, healthy life ahead of him. The Lord hugged the boy and prepared to leave. Ballal insisted that the Lord stay on there at Pali. Ganesha agreed and made his permanent abode at Pali as Ballal Vinayak or Ballaleshwar. He disappeared into a large stone and promised the boy that he would stay there forever. In the above-mentioned legend, the stone idol that Ballal's father threw away is known as Dhundi Vinayak. This idol is one of the rare ones to face west. The birth celebration of Dhundi Vinayak takes place from Jyeshtha Pratipada to Panchami. Devotees first take darshan of this murti and only then proceed to the main temple of Shri Ballaleshwar. The original wooden temple was later built into a stone temple by Nana Phadnavis in 1760. The stones are stuck tightly together using melted lead. There are two little lakes running by either side of the temple. One is used exclusively for pooja vidhis (rituals) for the Lord. The temple faces east and has two sanctums. The inner one is 15 feet tall and the outer one, 12 feet. The inner sanctum houses the main murti and Ganesha's vahana, Mushika (the Mouse). The hall is supported by eight intricately carved pillars. The eight pillars depict the ashtadisha (eight main directions). The edifice is constructed in such a way that after the dakshinayana (winter solstice), the sun's rays fall directly on the Ganesha murti during sunrise. The main idol is seated on a throne carved like a cypress tree. The murti has diamonds embedded in the eyes and navel and has his trunk pointing to the left. Its shape bears striking resemblance to the mountain, which forms the backdrop of the temple itself. This becomes very obvious when one tries to photograph the murti together with the background. Usually, Ganesha is offered modaks (a sweet preparation) as prasad. But at Pali, the prasad offered is the Besan Laadu (laddus made of chickpea flour), instead of the standard modak. This is yet another special feature here. The Ballaleshwar temple is located in the town of Pali, off the Mumbai-Pune highway, on the Mumbai-Goa highway. Situated about 30 kms to the southwest of Karjat Railway station, this can be easily accessed by train as well. Once, sage Vachaknavi's wife, Mukunda, started lusting after the handsome prince Rukmangad. He, however, did not like that she was making advances towards him. Insulted at the rejection, she cursed him to suffer from leprosy. She was then approached by Indra, the King of the Devas. He cheated her by taking the form of Rukmangad and later, she bore a child by the name of Grutsamad. Years later, when Grutsamad came to know the real story of his birth, he cursed his own mother, Mukunda, that she would become the tree of Bori. She in turn cursed him that he would sire a demon son called Tripurasura. Much later, Tripurasura was defeated by Lord Shiva. After being cursed, Grutsamad went to the forest of Pushpaka and started worshipping to Lord Ganesha. He went on to become a great sage, famous for giving us the hymn of GaNaNaN Tva. He also founded the temple of Varada-Vinayak (the Benevolent Ganesha), which went on to become one of the Ashtavinayaka temples. 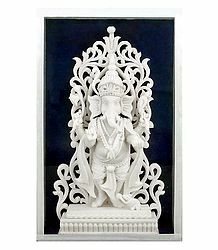 Ganesha resides in this temple as the bestower of bounty and success. His idol was discovered in the adjoining lake, in an immersed position. Hence, it looks old and weathered. In 1725 AD, the then Kalyan Subhedar, Ramji Mahadev Biwalkar, constructed the Varadavinayak temple and the village of Mahad. Here, the Ganesha idol faces east and has his trunk to the left. An oil lamp is always lit for him in the sanctum - this is believed to have burned continuously from the year 1892 onwards. There are 4 elephant idols on all 4 sides of the temple. The main hall is 8 feet by 8 feet and the dome is 25 feet high, with a golden shikhar on top. This dome has designs of cobras. Interestingly, this is the only temple where devotees are allowed to personally offer their obeisance to the Lord. They can enter the sanctum and stand in the immediate vicinity of the idol to perform their prayers. The Varadavinayak temple is situated 3 kms off the Mumbai-Pune highway, near Khopoli. It is thus closer to Mumbai city. It can be accessed by rail as well. the Karjat Railway Station lies about 6 kms from Khopoli. Ganesha is believed to have retrieved the precious gem, Chintamani, from the avaricious sage Kapila, at this very spot. After bringing back the jewel, Kapila hung the same around Vinayaka's neck. Hence, he got the name Chintamani Vinayak. Since this incident occurred under a Kadamba tree, Theur (the location) was earlier also known as Kadambanagar. The lake flowing behind the temple is called Kadambteertha. The temple entrance faces north. The outer wooden hall was built by the Peshwas and the main temple is believed to have been built by Dharanidhar Maharaj Dev, who belonged to the Shri Moraya Gosavi lineage. He is said to have constructed it about a century or so before Senior Shrimant Madhavrao Peshwa built the outer hall. Incidentally, the Chintamani Vinayak was supposed to be the family deity of Shrimant Madhavrao I Peshwa. The Chintamani Vinayak idol faces East and has its trunk turned to the left. The temple is situated 22 kms from Pune, off the Pune-Solapur highway. Hence, this is closest to Pune city. The village of Theur is located at the confluence of three major regional rivers, namely, Mula, Mutha and Bhima. It is believed that Parvati, Lord Shiva's consort, performed penance at this very spot, in order to beget Ganesha as her child. Hence, the name of the temple came to be Girijatmat (Girija's son). Most interestingly, this temple is situated amidst a cave complex of 18 caves of Buddhist origin. This Buddhist vihara is alternatively called Ganesh-Leni and Lenyadri. The temple can be found in the 8th cave and is carved out of a single stone hill, with some 307 steps. The Girijatmaj temple has a wide hall with no pillars for support. The hall is 53 feet long, 51 feet wide and 7 feet high. The idol faces north with its trunk positioned to the left. Since the temple itself faces south, devotees have to approach the main deity from the rear end of the temple. The Girijatmaj idol is not as well designed or carved as the other Ashtavinayaka idols. Also, there is no electric bulb here - however, it is constructed in such a way that during the day, it is always well-lit naturally, by the Sun's rays. There is no bar on the type of devotees who can come here and pray - anyone and everyone can come here to offer prayers, at any time of the year. The Girijatmaj temple is situated 12 kms from Narayangaon, which lies about 94 kms from Pune, on the Pune-Nashik highway. The closest railway station is at Talegaon. Lenyadri is about 5 kms from Junnar and the famous Shivaneri castle, where Chhatrapati Shivaji Maharaj was born, lies nearby, about 5-6 kms away. According to legend, Indra once created a demon known as Vighnasur. The King of the Devas did so because he wanted to destroy the prayer organized by King Abhinandan. Sadly, the demon went one step further and destroyed all vedic and religious acts. He caused havoc all around. Everyone then went to Ganesha seeking protection. Ganesha immediately manifested to save his devotees and effortlessly defeated Vighnasur. On being conquered, the demon begged for mercy and fell at the Lord's feet. Ganesha agreed on the condition that the asura should not go to any place where his worship was going on. The demon was saddened, but requested a return favor that his name should be taken everytime, before Ganesha was worshipped. Thus, the Lord also got the name Vighnahar or Vighneshwar (Vighna in Sanskrit means obstacle). The Ganesha residing in this temple is called Shri Vighneshwar Vinayak. The Vighneshwar temple faces east and is surrounded by a stone wall. It is so thick in width that one can actually walk on it. The main hall of the temple is 20 feet in length and the inner hall in 10 feet in length. The temple top is golden and was probably built by Chimaji Appa after defeating the Portuguese rulers of Vasai and Sashti. Though there are no official records, the temple was probably constructed around 1785CE. The idol too faces east and has its trunk turned towards the left. It also has rubies embedded in its eyes, a diamond on the forehead and some jewel in the navel as well. Riddhi and Siddhi are shown seated on either side of the murti. The Vighneshwar temple is located just off the Pune-Nashik highway, in the town of Ozhar, on the banks of river Kukadi. Via Mumbai-Thane-Kalyan-Bapsai-Saralgaon-Otur, Ozhar is about182 kms in distance. The Mahaganapati temple at Ranjangaon is also famous and considered very powerful. Shiva is said to have worshipped his own son Ganesha here, before proceeding to fight the demon Tripurasura. In fact, some believe that Shiva himself built the temple. The town was then known as Manipur. It is presently called Ranjangaon. Ranjangaon Ganpati is one of the Ashtavinayak temples, celebrating eight legends related to Ganesha. The main idol was donated and inaugurated by "Khollam" Family; one of the wealthy goldsmith families in the town. Experts aver that it was built between the 9th and 10th centuries. Legend has it that when a sage sneezed one day, he brought out a child. Growing up in the ashram, the child learnt many good things and came to love Lord Ganesha. However, he also held many evil thoughts within and so, as he grew up, he turned into a demon named Tripurasura. Tripura wanted to rule the world. He prayed to Lord Shiva and got three powerful citadels; the Tripuram forts; made respectively of gold, silver and bronze. He also got the boon of invincibility from Shiva. Shiva told the demon that he would be forever victorious, till the day someone would be able to shoot a single arrow that pierced all his three forts. Bloated with false pride, Tripura went ahead and brought great suffering to all beings on earth and in heaven. When everyone rushed to Shiva for help, he realized his folly. Then sage Narada approached Shiva and advised him to pray to Ganesha. Shiva did as he was told. After praying to Ganesha, Shiva came face to face with the demon and then shot a single arrow, which pierced all the three forts of Tripuram. This way, he finally defeated and killed Tripurasura. Now, Shiva as Tripurantaka (the slayer of Tripura), is enshrined in Bhimashankar nearby. A variation of the above legend is common in South India. According to this story, Ganesha is believed to have been the caused Shiva's chariot's axle to break. He did this because Shiva had gone off to fight Tripura without first coming to see him and saluting him. When Shiva realized his mistake, he immediately came back to Ganesha, prayed to him and then proceeded to achieve triumph against the terrible demon. The 15th century saint poet, Arunagirinathar, beautifully explains this incident in his Tamil verse, 'Muppuram eri seida, Acchivan urai ratham, acchadu podi seida athi deera'. Here, he talks about how Ganesha, as the valiant hero, causes the chariot's axle to crumble to dust, as Shiva prepares to leave to destroy Tripura. The Mahaganapati idol faces east and is depicted as seated in a cross-legged position. He sits on a lotus, flanked by his consorts Riddhi and Siddhi, seated on either side of him. He has a broad forehead and his trunk is turned to the left. It is believed that the original idol, hidden in the basement, has 10 trunks and 20 hands and is called Mahotkat. However, there are no official records of this and the temple authorities too have repeatedly denied this claim. The temple is so constructed that the rays of the sun fall directly on the idol, during Dakshinayana. The structure itself faces the east and bears a striking resemblance to the architectural style of the 9th and 10th centuries. It has an imposing main gate, which is guarded on either side by effigies of the Dwarapalakas, Jaya and Vijaya. Shrimant Madhavrao Peshwa visited this temple very often and constructed the stone sanctum around the idol. In 1790 AD, Anyaba Dev was authorized to start worship of the swayambhu idol. This temple is situated very close to the center of Ranjangaon. It can be accessed via the Pune-Nagar highway, via the Pune-Koregaon-Shikrapur route. The town lies 21 kms before Shirur. It is also quite close to Pune - just about 50 kms from the city. All Ganesha temples all over the world celebrate Ganesh Chaturthi in a big way. Needless to say, this is especially so in the case of the Ashtavinayaka temples. This festival is celebrated with great fervor and splendor in all the eight temples. Undertaking an Ashtavinayaka yatra is considered to be holy and bestow a great deal of good on the devotee. 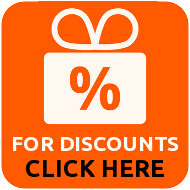 Almost all tour operators offer Ashtavinayaka yatra packages at reasonable costs. Those desirous of visiting these eight abodes of Ganesha can book a travel package to cover all these temples in their prescribed order; and then end the yatra with a return trip to the first temple, Moreshwar.